Nintendo is about release the most awaited Super Mario Odyssey game for the Switch. 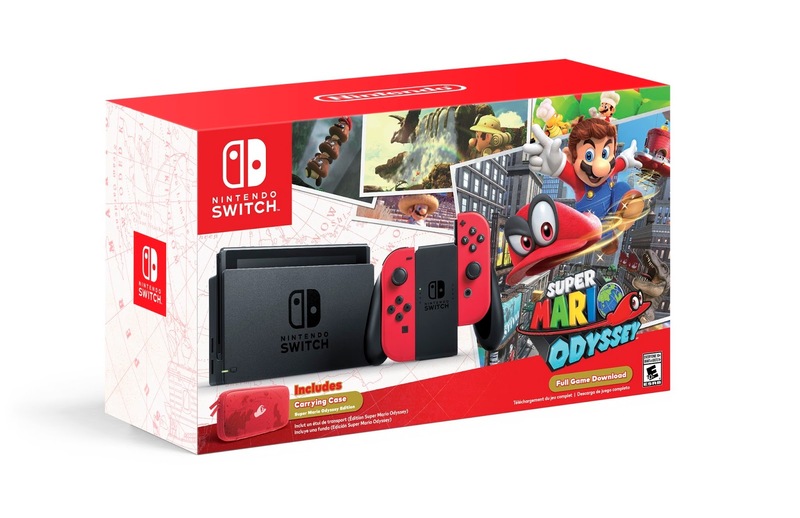 But while most fans wait for that, a new deal has just been revealed by the Japanese gaming company, it's the Super Mario Odyssey Nintendo Switch bundle which is going to be sold for $379.99 later next month. In addition to the Super Mario Odyssey pre-installed in the Switch, the bundle will also offer exclusive Super Mario themed carrying case and a pair of red Joy-Con controllers. In case you are interested in what the Super Mario Odyssey has to offer or still not that convinced yet to buy one, watch the video below to learn more about it and perhaps help you decide today. The Nintendo Switch + Super Mario Odyssey bundle will be released, at least in the US, starting on October 27th. If you already own a Switch console, you can just buy the game itself which will also be available on that same date for $60.